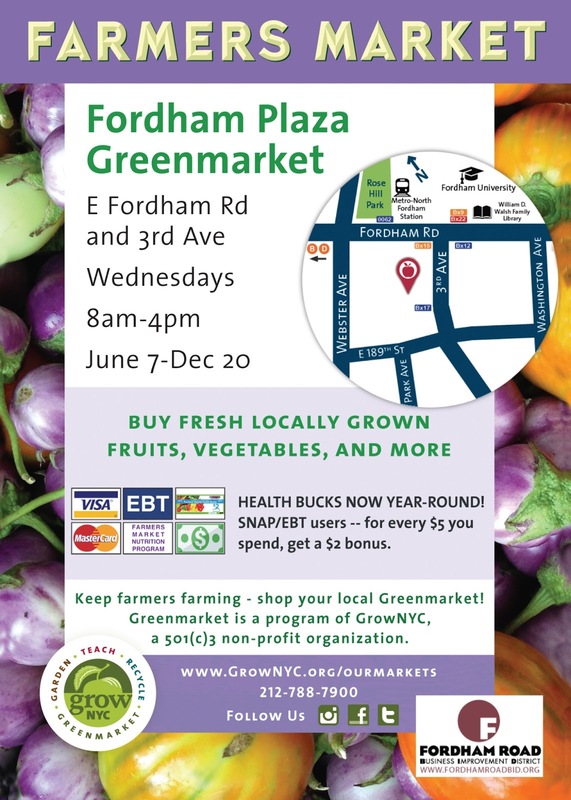 The new Fordham Plaza Greenmarket will be running on Wednesdays from 8:00 AM to 4:00 PM from June 7 to December 20. Bronx Community Health Network will be an active participant on a regular basis. Look for additional details soon about our Wednesday schedule of events. 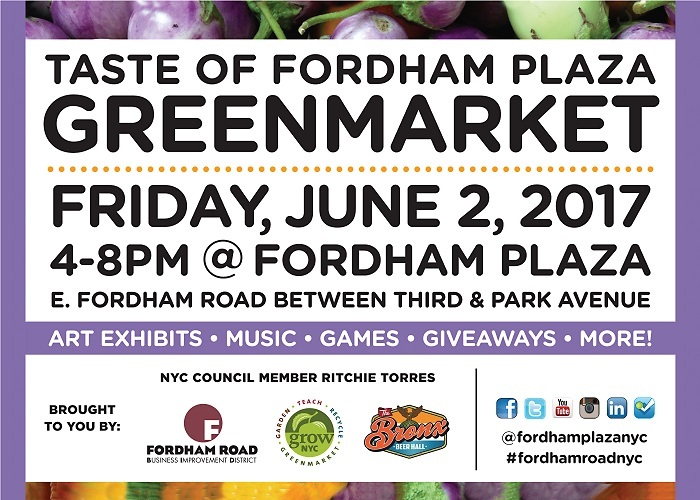 On June 2, the Fordham Road Business Improvement District is hosting a kick-off event featuring health education, food demonstrations, art exhibits, music, games and giveaways. Be sure to stop by the BCHN table to say hello on June 2 from 4:00 PM to 8:00 PM. We will be providing information on BCHN's programs and services, offering Naloxone training, and offering a healthy food demonstration by Chef Geneva Wilson.